Come and pick some cherries with us. 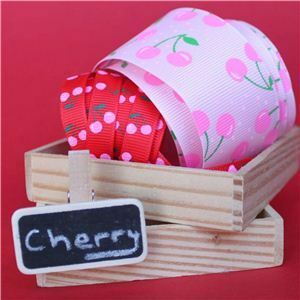 Cherries are printed onto grosgrain ribbons in either 10mm or 40mm width. Eight different colours to pick.